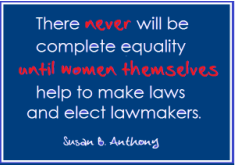 Celebrate A Women's Right to Vote! $25 admission – Reserve tickets only. Order your tickets today! EqualiTEA proceeds support League activities in the Duluth area including voter forums, voter registration and education.